for reviews, an exclusive interview, and a super-stocked raffle!! New reader interested in the series? Lost in Thought is currently available for less than $4! Don't miss out! Join me, Lisa Kramer, Amelia Atwater-Rhodes, Mandi Lynn, Gina Damico, and MP Barker at Barnes & Noble's first ever Teen Book Festival! Open signing from 1:00 to 3:00PM followed by a panel discussion and Q&A session on our books and being a writer! For more information, visit BN.COM/B-Fest. Do we have an awesome line-up or what?! TANGLED THOUGHTS ebook NOW AVAILABLE! Hooray!!! 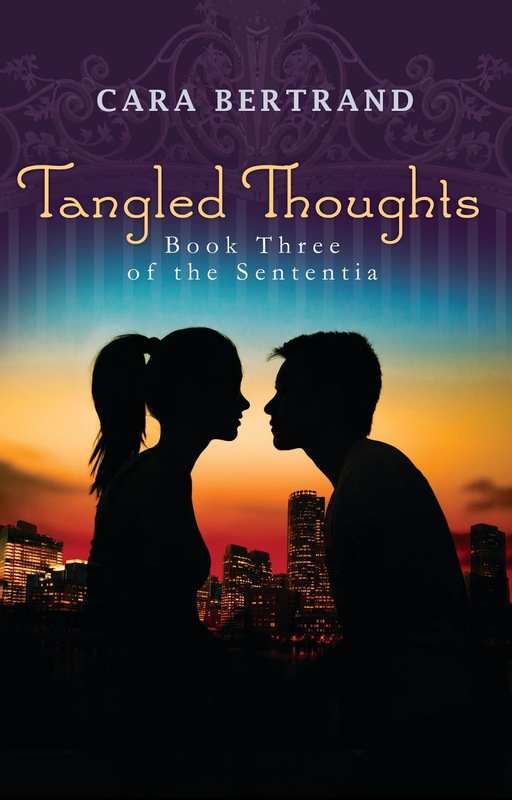 The ebook for TANGLED THOUGHTS is yours for the having! Go ahead, download it today! And while you're at it, go ahead and add the book on Goodreads! Thoughts Point to Yes: A Sententia Novella available NOW! A sweet little something to tide you over until Tangled Thoughts... Thoughts Point to Yes (A Sententia Novella) is available TODAY! The summer after Lainey Young’s senior year at Northbrook Academy was supposed to be perfect. She should have known better than to believe anything would turn out the way it was supposed to. Following her disastrous confrontation with Daniel Astor, and her narrow escape with her life, Lainey spends the months before college lonely and alone, and worse—she has to pretend that’s exactly how she wants to be. But as summer draws to a close, Lainey’s best friend Amy Moretti surprises her with a request: one last day, just the two of them. A Yes Day. One final hurrah before college forces them apart, too—to different rooms, with different roommates, on different sides of the river—for the first time in two years. Together, they journey around Boston, surprising each other, and themselves. In the end, Lainey makes one final decision, and one last goodbye, before starting her freshman year with a new resolution and a renewed sense of the thing she’d once wanted most: freedom. This ebook original includes the 75-page novella Thoughts Point to Yes PLUS an additional 17 pages of BONUS SCENES. Title and Cover Reveal for Sententia 3! 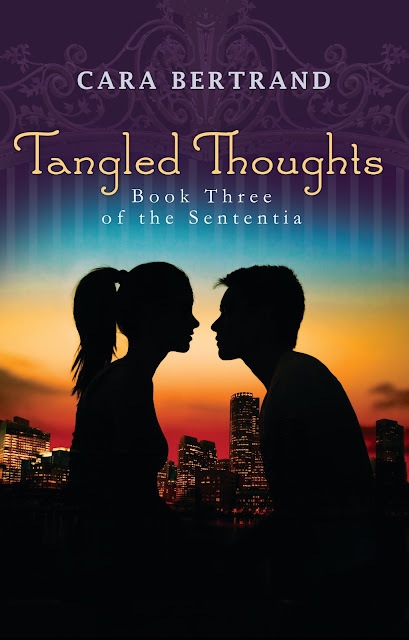 TANGLED THOUGHTS (Book Three of the Sententia) releasing 4/1/16! We'll be talking books, taking questions, and signing your stuff! Bring your smiling faces out of the house! You can even RSVP here if you want to make us happy! ...make positive changes! I've always been fond of the New Year and fresh starts. Every year I make resolutions and--believe it or not--I keep most of them. Why? I like to set achievable goals and self-improvements because, frankly, no one likes failure. Failure is demoralizing, but small successes add up. Collective small accomplishments, and the sense of pride/increases in well-being/incremental improvements that come with them, can eventually lead to those big, sweeping goals and changes. And if they don't? You've STILL done something positive. You've still not-failed. And THAT, to me, is winning. VITAMINS. Taking them, regularly, is a small effort that can have a big impact on my overall well-being and energy levels. And they're so easy to skip. So, in effort to stick to this resolution--and a few other things too--I have a motivational/accountability calendar. Stars for successes, and it hangs in the kitchen, so cannot be ignored. COMPOST. This is something we started several years ago, but husband and I got verrry lazy with in 2014. 2015 we're back at it and off to a good start. Use fewer PLASTIC BAGS. I know, this isn't really a quantifiable one, since I don't really keep track. BUT making the resolution keeps me mindful about making conscious choices. So far, so good. Go to more BOOK EVENTS. Not as an author (I go to pretty much any I'm invited to! ), but as a guest. Just to be in the book community more, meet people, fan girl and all-around participate. I've been to two so far this month (see the blue stars on the calendar! ), which is about as many non-author events as I attended all year last year. One a month would be great. I'm already ahead! Such a Rush, Jennifer Echols- So good, I read it twice! She is an absolute master of sexual tension. The Burning Sky, Sherry Thomas- I could gush on and on. Loved everything about this, especially the magic and Titus. Give me your tortured heroes, all of them. Seraphina, Rachel Hartman- Orma is my spirit animal. The Storied Life of A.J. Fikry, Gabrielle Zevin- Just brilliant, especially if you're a book person. Bookseller recommendation, and I picked up a signed copy. The Winner's Curse, Marie Rutkoski- I'm slightly obsessed with this book and especially the last line. This was a 'word of mouth' read that I snagged on a whim after I seemed to be hearing the title from every blogger I followed on Twitter. There's a reason they were all talking about it. A good one. My stats for the year: approximately 65 books read, though this number includes some novellas and an early chapter book or two I read with my daughter (and does not include DNFs or manuscripts, my own or critique partners'). This is four fewer books than last year; however, it amounted to only 1,600 pages fewer than last year's total, not even a chapter's worth of words. So I read a bunch of BIG books this year. Looking at my list, I understand why, because I devoured a good amount of rich fantasy, series conclusions, and historical fiction. The above list is only a smattering of the books I loved and liked out of the 60+! Remember you can always follow what I'm reading on Goodreads or here on the blog. What were your favorites of the year? What should I put on my TBR for 2015? 'Tis the season! What makes great gifts, now and year round? BOOKS! Thank you in advance to everyone who supports their favorite booksellers this holiday season, and extra thanks to those who choose to gift the Sententia Series! Want to make your gift even more special? You can #shopsmall and order signed and personalized editions of the Sententia books direct from my local indie, The Odyssey Bookshop in South Hadley, MA. They ship anywhere in the world and gift wrap too! Signed paperbacks are in stock and can ship immediately. Personalized copies in any format (hardcover, paperback) can be special ordered and ship in time for Christmas. ORDER HERE! *Remember to request signed editions/note personalization at check out. and I will send YOU signed bookmarks and bookplates! Instructors include: Cammie McGovern, Heather Richard, Dawn Metcalf, Page Morgan, and me! My date is 11/5, and is conveniently followed directly by an event with Leigh Bardugo. 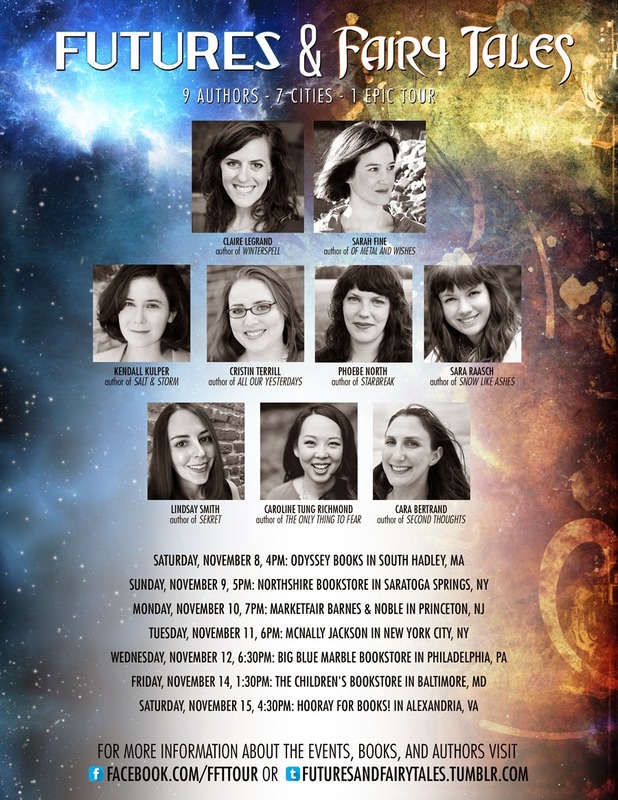 Futures & Fairytales Tour--9 Authors, 7 Cities, 1 epic tour. 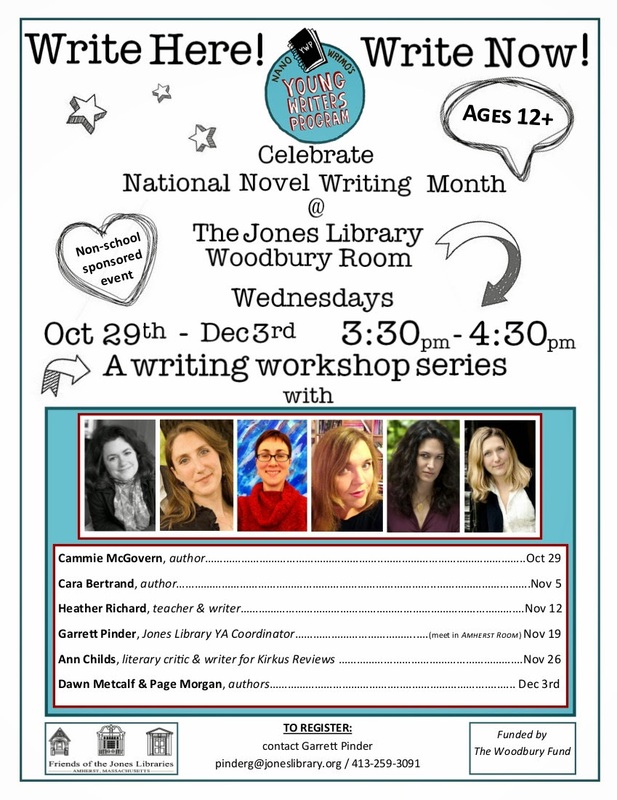 So thrilled to help kick off this tour with Claire Legrand, Kendall Kulper, & Phoebe North!